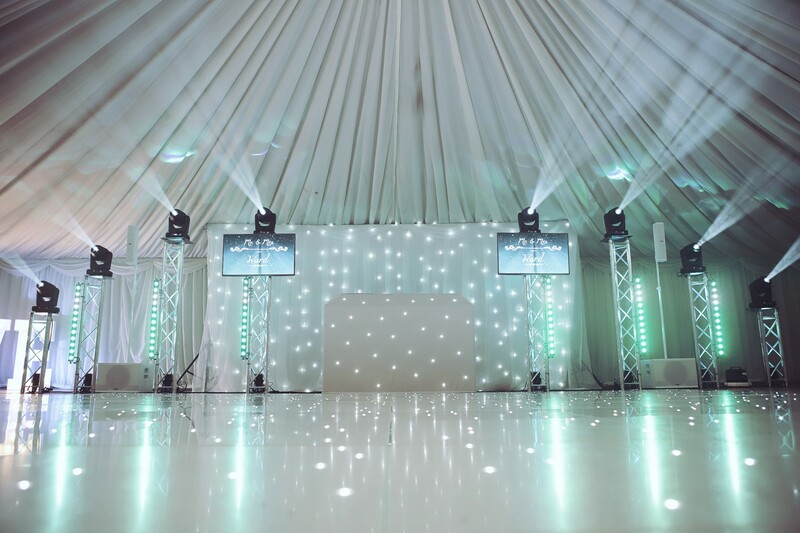 A dancefloor can provide the perfect centre piece to your room which will guarantee to wow your guests and have them dancing all night! 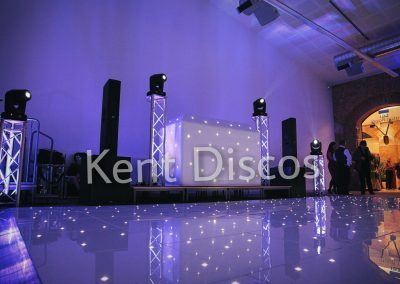 We can also offer other types of dancefloor such as parquet (wooden), polished black, polished white and more upon special request. 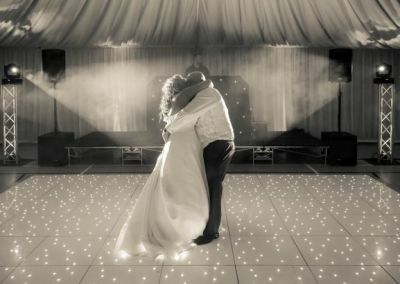 Take your first dance as man and wife by dancing among the stars - stun your guests and add that extra sparkle and wow your guests! 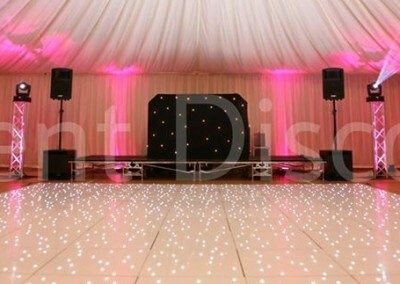 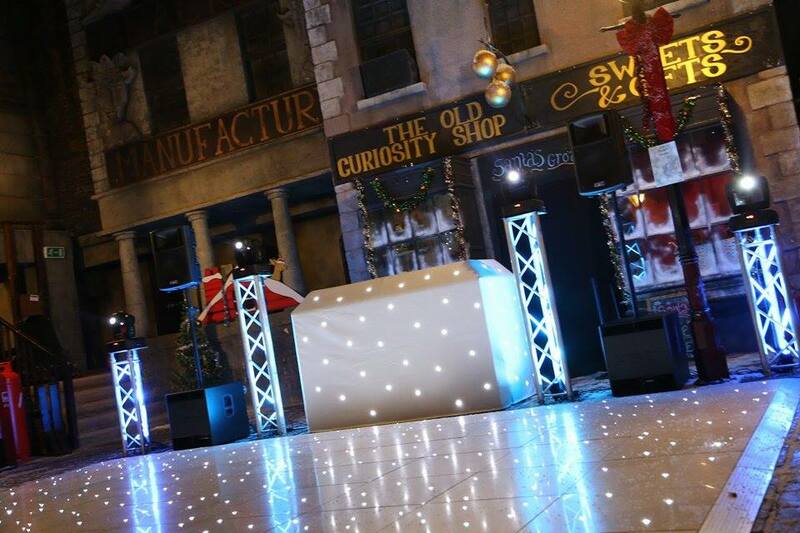 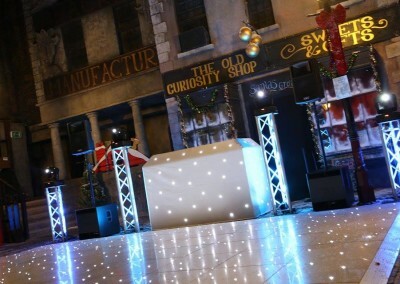 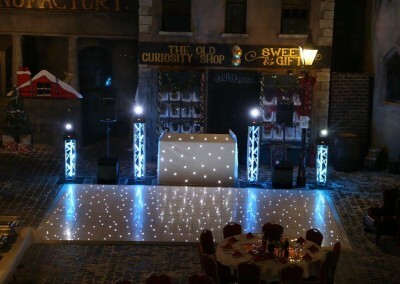 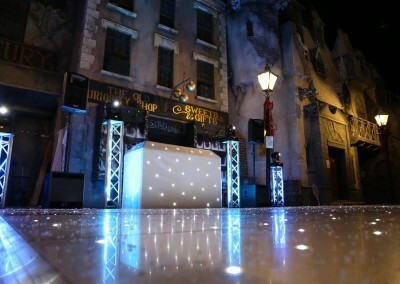 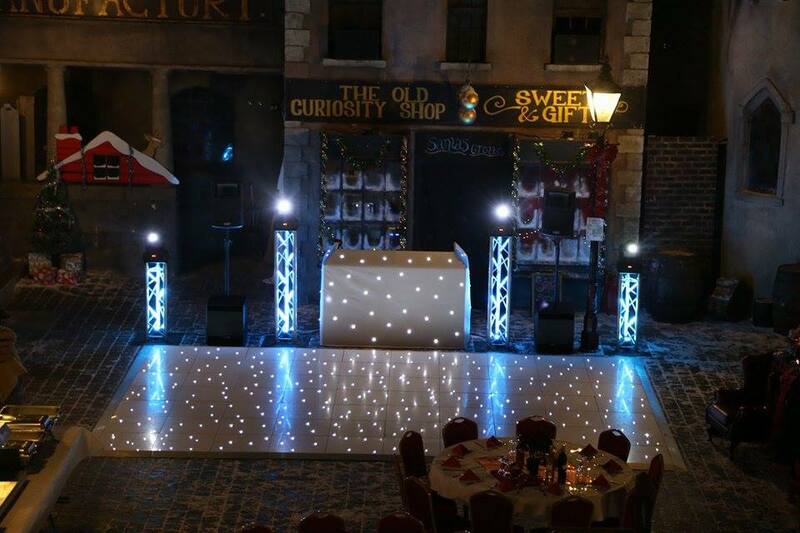 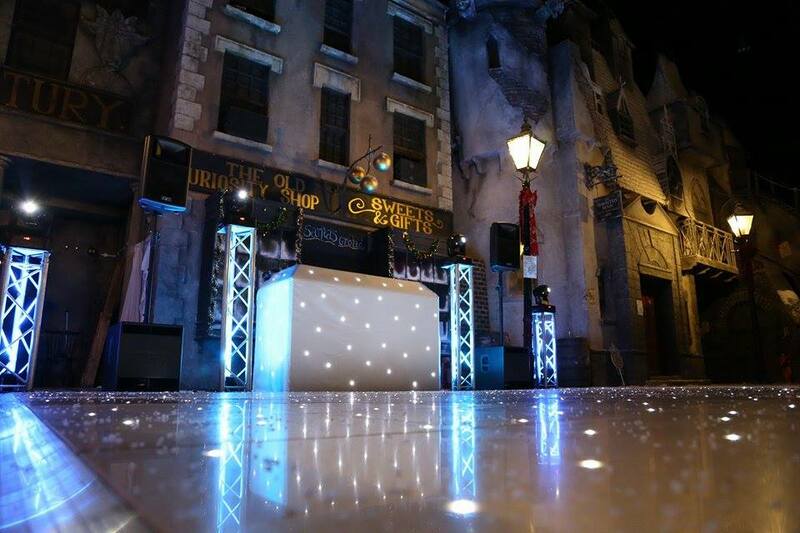 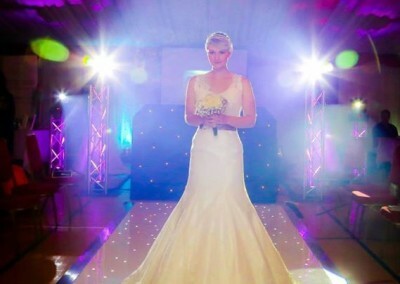 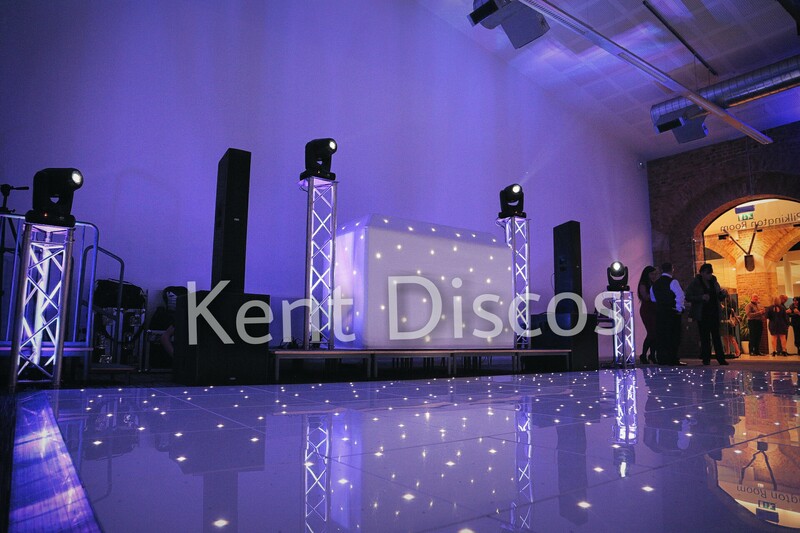 Choose from either a range of black or white LED starlit dancefloors available in various sizes up to 18ft x 18ft. 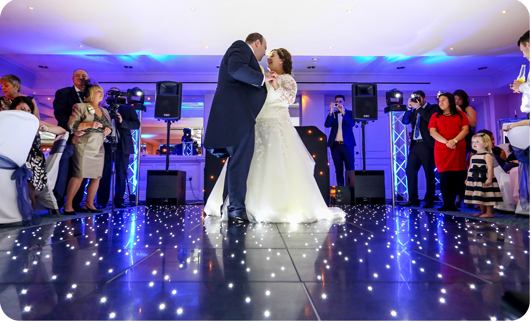 Our LED twinkly floors can be controlled so the starlights perform different functions such as twinkling at various speeds and static on or off. 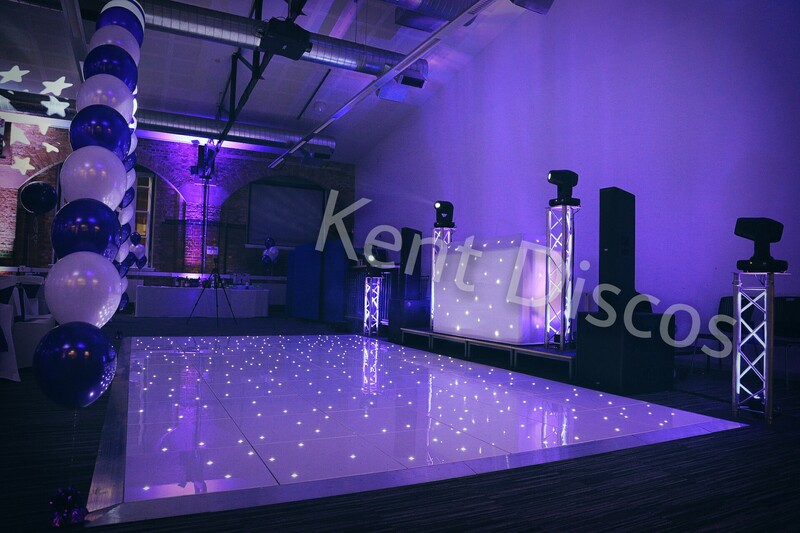 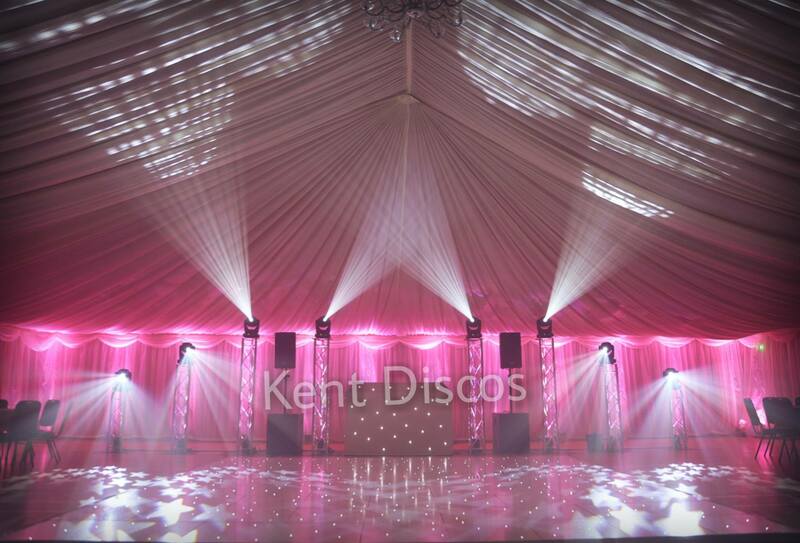 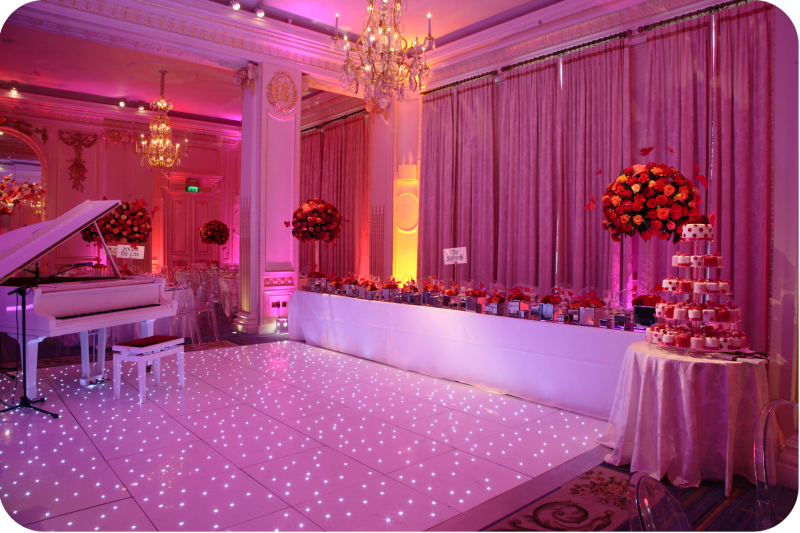 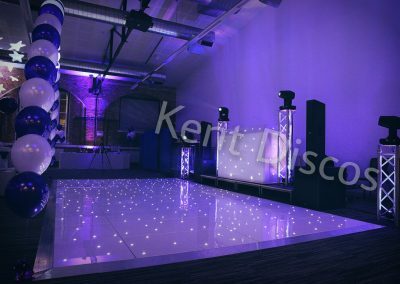 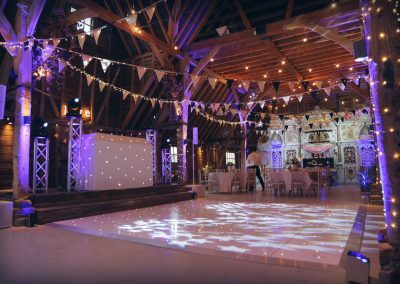 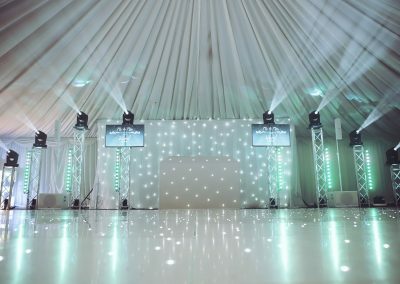 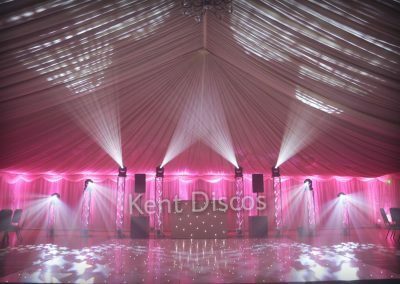 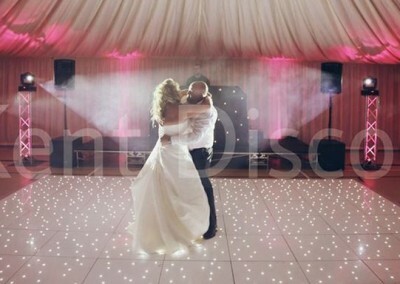 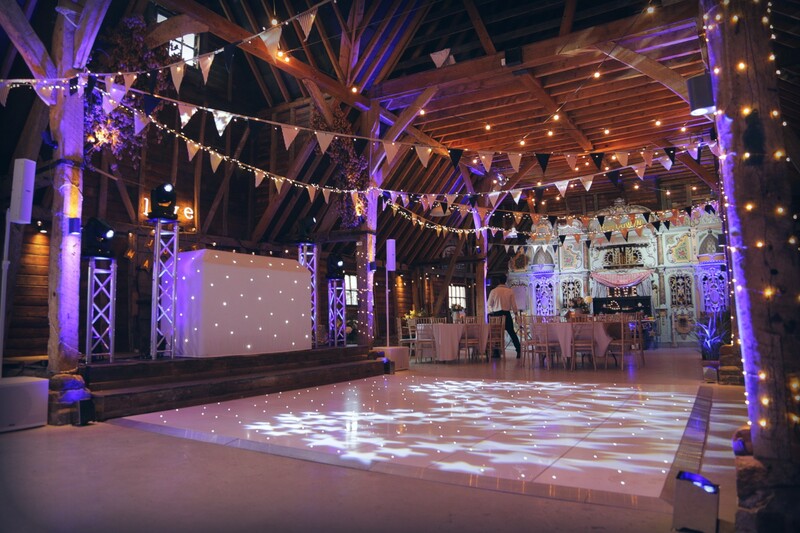 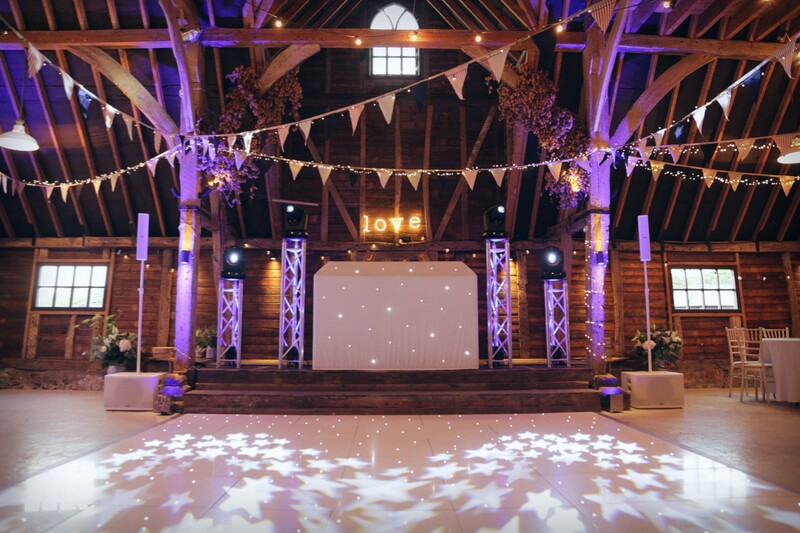 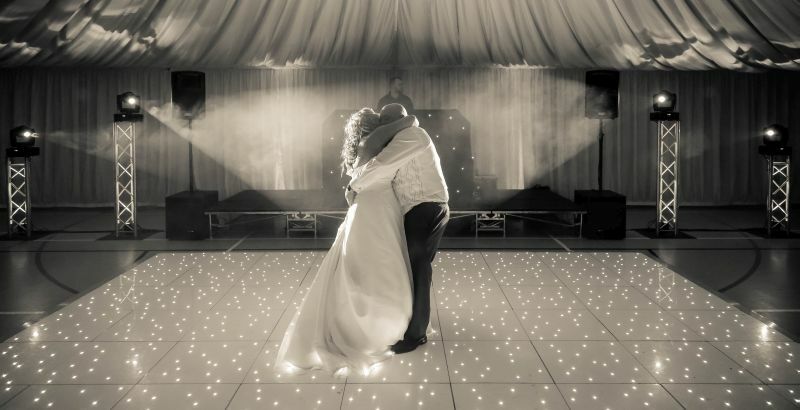 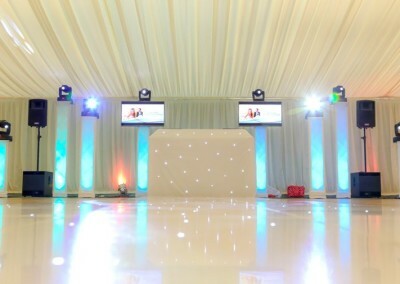 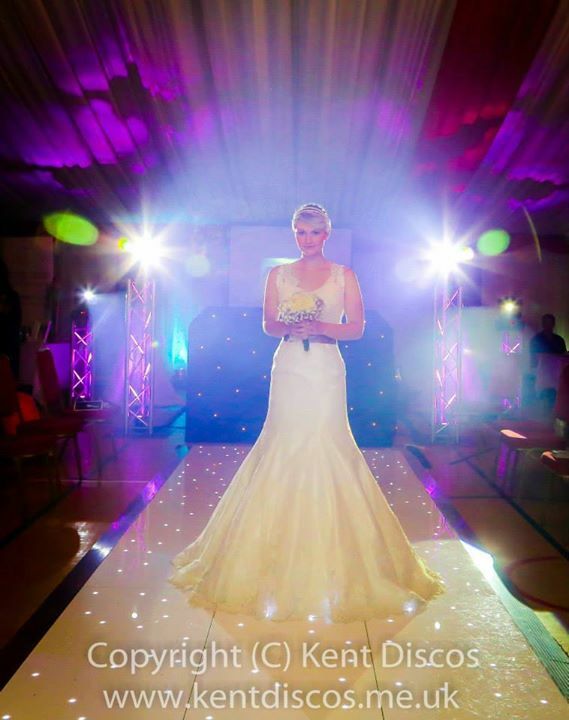 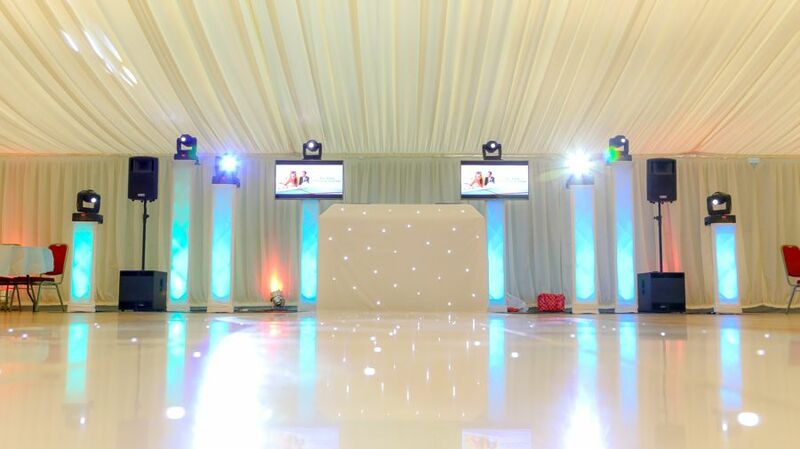 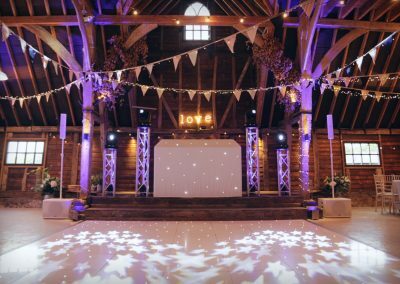 Our dancefloors offer a unique design where they can be scaled up or down in 2ft panels allowing you to have a dancefloor in various combinations such as 12ft x 16ft, perfect if you have a venue with a rectangular setup space or if you require a dancefloor aisle or walkway! 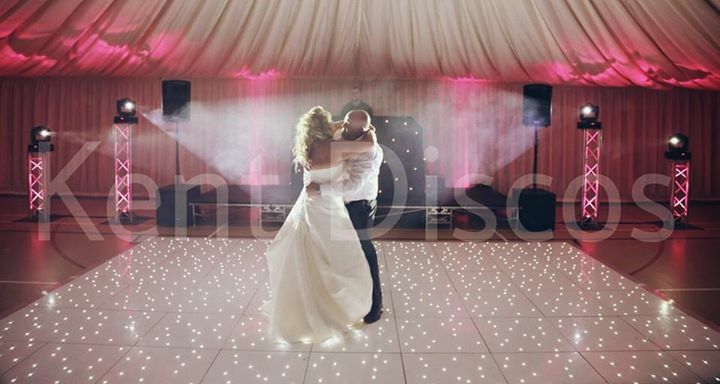 The dancefloors offer security and safety by using an interlocking system and low profile sloped design edging meaning that the floor is completely level and that no panels will lift or come apart whilst you dance the night away.